The death of a local girl in rural 1960s Ireland causes a ripple of rumour to spread throughout a small town community. Vincent (Lorcan Crantich), a respected local music teacher and father of two grown up sons, David (Peter Coonan) and Graham (Manus Halligan), is at the centre of these rumours. His position within the community, his attitude, and a turn of events allow him to navigate himself away from any wrong doing. Four years later and similar events unfold again; this time David and his wife Abigail’s (Orla Fitzgerald) daughter goes missing. Old stories begin to resurface and are rehashed, both in the community and within the family itself, namely through daughter-in-law Abigail. Vincent is supported throughout by his second wife, the significantly younger and pretty Jackie (Janice Byrne) and his youngest son, Graham. Tension reaches crisis point when Abigail blatantly accuses Vincent of having a part in her daughter’s disappearance, ostracising herself from the family as she speaks, what she believes, is the truth. Staging is simple but effective; basic furniture is used to indicate place but the 1960s details do not go unnoticed, such as the crockery. The bare wooden floors of the set, as visually appealing as they are, make it a little difficult at times to hear what is being said by the characters as they walk across the set. Action takes place both indoors and out, with the latter being represented by an incomplete circle of dirt surrounding the performance space that extends right up to the feet of the front row audience. This circle of dirt is also used symbolise the “dirt” and rumours that surround the family; something that is there and palpable but at the same time not quite tangible. Static like and high intensity sounds herald scene changes, which is becoming a feature of Kidd’s direction. These sounds grate both aurally and psychologically, highlighting the wrongness inherent in what is happening within the story and serving as a word of warning to the audience. The open stage arrangement works well at bringing the audience into the story, which is also heightened by the actors making use of all entrances. A lot happens in Before Monsters Were Made, resulting in the characters having to tell much of the backstory. This is fine overall, and indeed is needed much of the time, but it does happen frequently. 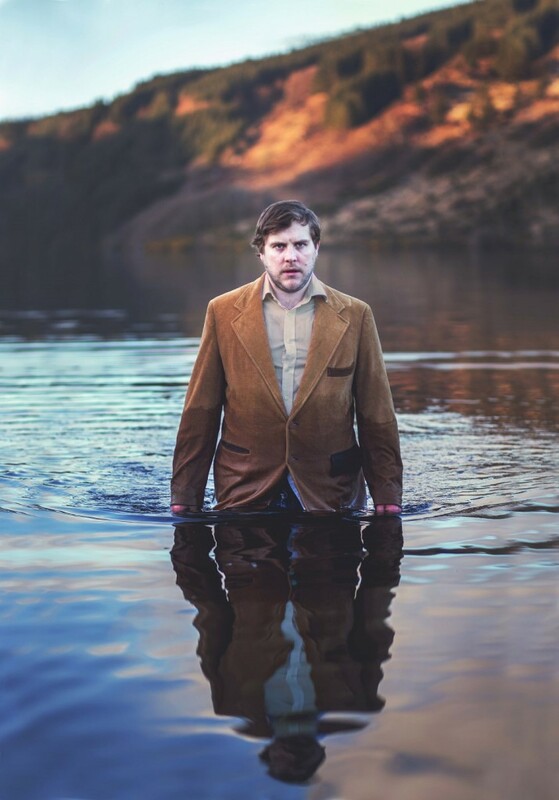 The acting throughout is very good, with Manus Halligan noticeable due to his comedic portrayal of the gombeen brother Graham to Peter Coonan’s straight-laced David. Similarly, Orla Fitzgerald holds her own as the doubting daughter-in-law of a powerfully played Vincent (Lorcan Cranitch). Jackie (Janice Byrne) is subservient is everyway; this characteristic being vital to her role in the plot. Before Monsters Were Made is a dark drama, bravely touching off subjects such as paedophilia and the abuse of power, off set with moments of humour and provincial charm. This production works very well at combining the beauty of a simpler bygone era with the horrors we choose to forget when we wear rose tinted lenses. It sits, somewhat uncomfortably, in the psyche long after the performance has ended. Before Monsters Were Made by Ross Dungan. 30 April – 16 May 2015 at Project Arts Centre, Dublin. Presented by 15th Oak Productions. Directed by Ben Kidd. Cast: Janice Byrne, Peter Coonan, Lorcan Cranitch, Orla Fitzgerald, Manus Halligan, Zena Donnelly and Ava McKevitt. ← Did I Write That? I’d like to see this one. I saw Lorcan Cranitch many years ago in a production of Mamet’s Speed-the-Plow at the Project and he was fantastic. He certainly gives a good performance in this. Very good cast overall TBH.